All of our boys like to read, but Nathaniel is the one who's really taken off on his own. He reads everything he can get his hands on that interests him, and we're hard-pressed to keep him supplied with good books to read. As we've established, he LOVES Harry Potter. But he's read them all at least twice, some of them four or five times. He's also read and re-read Percy Jackson's The Lightning Thief series, as well as Jackson's other's series. 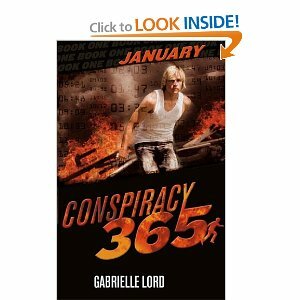 He just completed the Conspiracy 365 series last week, and he's started The Hunger Games trilogy. 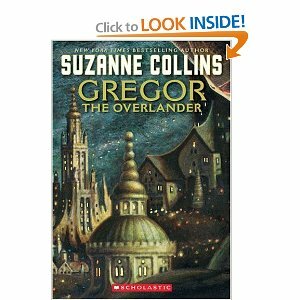 Next up, I have several books in Suzanne Collins' other series, The Underland Chronicles, about a child named Gregor, tucked away. But Internet, we keep track of the boys' reading for school, and Nathaniel read over 4,000 pages in January. No lie. He reads for at least an hour a night, sometimes two to two-and-a-half hours, and all the time on the weekend. So here's my question: What else should be on our list? He's reading well beyond 3rd-grade level, probably more like middle school. 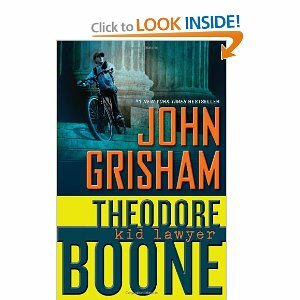 I think I'm going to introduce him to John Grisham's new line of children's books, and I absolutely want him to read one of my favorite books from when I was his age, From the Mixed-up Files of Mrs. Basil E. Frankweiler. People have given me links to lists of age-appropriate books, but those are hard to wade through. I'd much rather have individual recommendations based on your own experience. Any thoughts? Grant and Abby both loved The Mysterious Benedict Society series. Give him the Chronicles of Narnia. I loved those at that age. And the Hobbit. The Lord of the Rings might be a little hard now but the Hobbit is easier. Also try some classics like Robinson Caruso and the Swiss Family Robinson, and Treasure Island. Andrew likes those. The Famous Five series, The northern lights and the books that go after that. I was like him when I was younger!! I'm now reading James Patterson books but I think the content is a little too old for him!! I have lots of students who like the Warrior books by Erin Hunter. He may enjoy the Geronimo Stilton books but they are an easier read. The other series that I know many students read after Harry Potter is Eragon. Another one is the A to Z Mysteries. Andrew Clements is another author to try out. Hope this helps! does he like to play outside? is he on any teams? btw, i am NOT criticizing...just asking. there are some sports related books he might like that would open up a different genre. also, i would ask the school librarian to send home a list of her recommendations. The hunger games is a great trilogy just be aware of some of the extreme content. (although nothing that will keep him awake at night im sure). Hey...long time reader, first time for a comment, I think. Nicholas (set of 5 books) by Rene Goscinny, available on Amazon. Eragon series, but he may be a bit too young for those. Also try the Alex Rider series by Anthony Horowitz, both of my boys LOVED this series. It's about a boy spy. They were both very helpful when I was looking for books for my boys that they enjoyed at their reading level but weren't over their head in content. my two big kid gifted readers loved the Redwall series---and there are a bunch of them. We have the same issue around here! Camden is a voracious reader--she'd read ALL the time if she could. And, we have to work to find things that marry high ability with age-appropriateness. Someone else mentioned the Warrior series (by Erin Hunter). Camden LOVES those--they are big substantial books and there are lots of them. She also has another series called the Seeker series. Camden has also loved the first two books by Jenny Cote. They are Bible stories, but kind of epic and "Watership Down" in nature. 500+ pages and C couldn't put them down. Might be worth a peek on Amazon to see if you think he'd like them. If so, he'd be welcome to borrow them from us. If I think of others, I'll let you know. Meanwhile, I'm following the comment thread to try and get ideas for my big reader. My 3rd grade son loves the 39 clues books. He also started reading the orignal Star Wars books in the adult section. My husband saved them from his own childhood. I usually steer clear of the young adult section because of the tendancy to go into more 'adult' themes. Also try graphic novels. My son loves Diary of a Wimpy Kid. So, he branched out into the Big Nate series and the Legend of Zelda (Japanese Manga). I also recommend Chronicles of Narnia! When I was around that age, I enjoyed biographies and auto-biographies of people of character...many of the presidents, Clara Barton, etc... Good reading and good role models for an impressionable mind!! I love that John Grisham has kids books! Have you read "The Litigators"? I just started it on my flight. 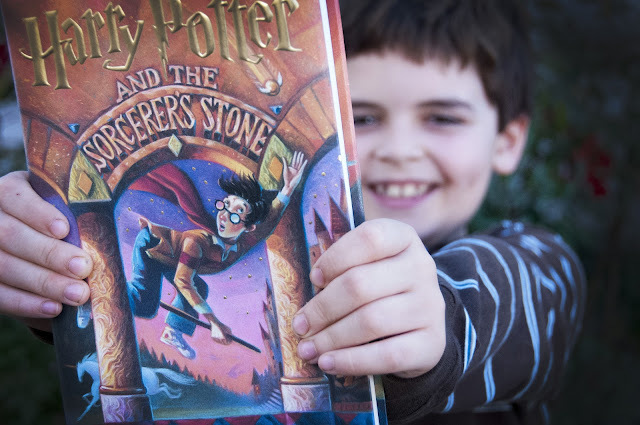 For your son, JK Rowling released an 800word prequel for charity. I know he will breeze through that but with his love for HP it may be a pretty exciting thing for him if he hasn't read it yet! Here's the link to download! Do you think he would like sports books? I know your boys like baseball--Mike Lupica, Fred Bowen, Matt Christopher, and Thomas Dygard are all good sports authors. James Patterson is very popular in my middle school library. Margaret Peterson Haddix is a good Sci-Fi/Futuristic author--Among the Hidden series. If I think of more I will let you know.....I know there are lots more! Hi - I have an avid reader as well. He loved Inkheart, Inkspell, and Inkdeath. I second the Matt Christopher suggestion if he is at all interested in sports books. I would also recommend the Encyclopedia Brown series which my brother and I both loved when we were that age.